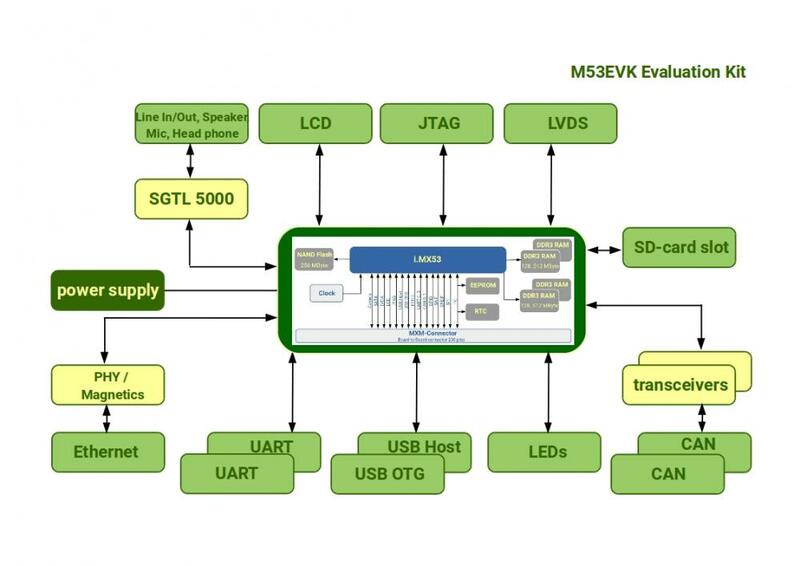 The M53EVK is available as a flexible evaluation platform which enables user to setup a running system in a very short time frame. Due to the Plug'n Play concept and the completeness of the EVK it can be used either for evaluating the M53 SOM or setting up a prototype. The M53EVK is shipped as a complete kit with an optional 17,78cm (7'') TFT display with touch screen support and a wall plug. The M53EVK is shipped as a complete kit including a 17,78cm (7'') TFT display with touch screen support and a wall plug.